Over a year ago, former BMW M CEO Frank Van Meel shared that CSL models were coming to the BMW M lineup. Van Meel has since moved on to become the head of BMW's Total Vehicle development department, but BMW's M CSL model plans remain in place. Seen below is a slide from a recent BMW M training presentation. The graphic shows the hierarchy of upcoming BMW models -- with M CSL models sitting at the very top. 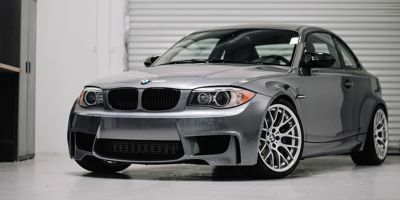 It's labeled as "Born for the racetrack" meaning CSL models will not concern themselves with the everyday suitability nature that the CS models feature, but can instead be completely track focused. There's no indication in the presentation of which M models we should expect CSL versions of, but we've already reported that an M2 CSL is coming, and we would also expect that there will be M3 CSL and M4 CSL models at some point in the future at the very least.